Medical Circle is Multipurpose WordPress Theme well suited for hospital, nursing home, general clinics, medical store, dental, pediatric, gynecology, veterinary clinics, pediatric and overall medical websites as well as personal portfolio sites for dentists, doctors, surgeons, gynecologist, general therapist and all medical sector people. Medical Circle is designed in a way that you can use this theme for variety of website like business, corporate, conference, charity, nonprofit, environmental, gym, parallax, political, one page, multi-page, spa and shop etc. 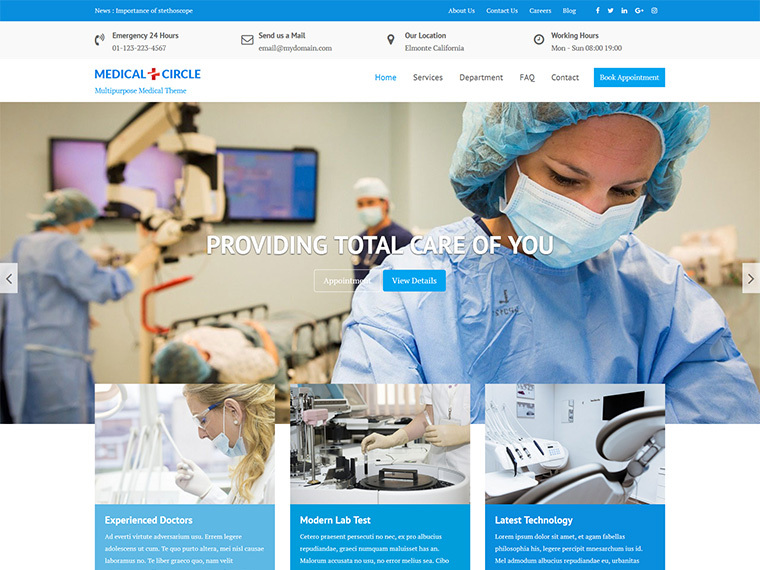 Medical Circle is one of the most accessible theme which can easily accommodate all type of users with no coding skills to advanced developers. Medical Circle includes excellent resources for medical professionals and practices of all kinds, with one click demo import, inbuilt theme options, page builder friendly design, and customizer based theme options, added custom widgets and many more things. In addition it includes lots of options for header section, menu section, slider section, home page layout, sidebar options, blog page options, image size options, translation ready. 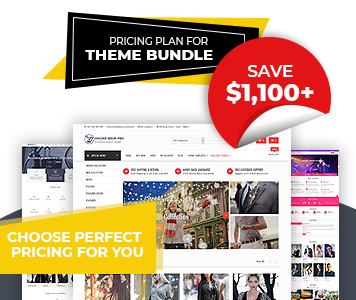 This theme is an awesome theme due to its flexible features and SEO friendly design. No any restrictions for pages on every section made by widgets. Select the number of pages as you want on the site items.